Covestro, a Bayer Group company, and Reverdia – the joint venture between Royal DSM and Roquette Frères – have reached an agreement to jointly develop and promote thermoplastic polyurethanes (TPU) based on renewable raw materials. Covestro will employ Biosuccinium™ succinic acid from Reverdia for the production of its Desmopan® -brand TPU for use in a variety of applications, including in the footwear and consumer electronics industries. Bio-based Desmopan® products are already available in various hardness grades, including 85 Shore A, 95A and 60D. They match – the company says – the excellent physical properties of conventional grades while also providing a better carbon footprint along the value-added chain. Simulations by Reverdia suggest a roughly 65 percent reduction in the carbon impact compared with products produced with petrochemicals. The biomass content of the Desmopan® TPU in the aforementioned hardness grades is 65 percent (85 Shore A), 52 percent (95A) and 42 percent (60D). “Our customers in the footwear and consumer electronics industries are constantly looking for new solutions to reduce their CO2 footprint, and bio-based TPU from Covestro is one such solution,” said Marius Wirtz, Global Head of Thermoplastic Polyurethanes. With 2014 sales of EUR 11.7 billion, Covestro is among the world’s largest polymer companies. 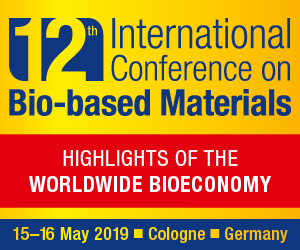 Business activities are focused on the manufacture of high- tech polymer materials and the development of innovative solutions for products used in many areas of daily life. The main segments served are the automotive, electrical and electronics, construction and sports and leisure industries. Reverdia President Marcel Lubben said, “We value our partnership with Covestro and see it as a long-term investment by both parties with the aim to jointly develop bio-based materials for both industries. 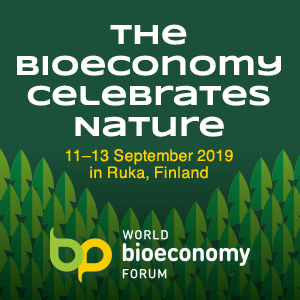 These applications, which have now reached industrial scale, underscore the good properties of Biosuccinium™ and its potential to improve the climate balance of consumer products. 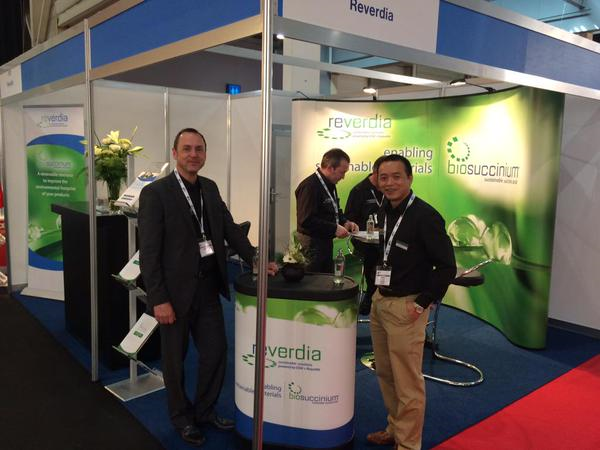 Reverdia’s yeast process has thus proved to be a particularly sustainable method for the production of bio-based succinic acid”. Last year, Biosuccinium™ earned the USDA Certified Biobased Product Label. The label verifies that Biosuccinium bio-succinic acid is 99% biobased. 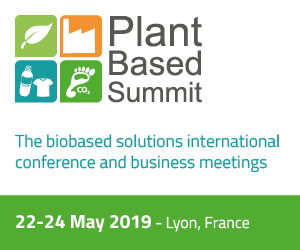 Bio-succinic acid has applications in a variety of markets, such as biopolymers, polyurethanes, resins and plasticizers for end products including footwear, paint and packaging.